...that doesn't go see Girl Talk in November is a stupid idiot. And will someone send me some music?? Also, I was listening to the commentary on the Simpsons movie and, Cara Donahue, you sound exactly like Yeardley Smith (the voice of Lisa). I swear I thought I was listening to you do commentary. That's all. It's hot as nuts here today. UPDATE! : I got a bittorrent to work. Actually, the one I found is called Transmission and it works really well. I like it a lot more than Bittorrent. And our internet here at the marina is pretty good. So if you dont want to mail a disc, you could upload something to MegaUpload.com or 4Shared.com and just send the link to me. Todd did that before and it worked well (our internet just sucked at the time). Anywho, that's all. I was just getting really tired of not being able to get anything. So I'm a bit better off now. Sorry about the begging. This is made up of a 140, 30sec shots. I even got some lightning! 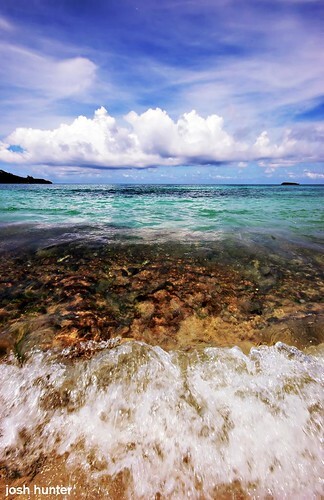 ...There are a lot of beautiful beaches here. Hey everybody! 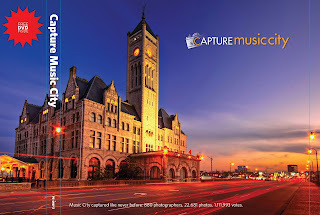 My shot of Union Station made the cover of the Capture Music City contest! How awesome is that?? Thank you so much for all your votes and compliments and congrats. They just mean so much to me. And I couldn't be more excited and honored to have my shot on the cover.